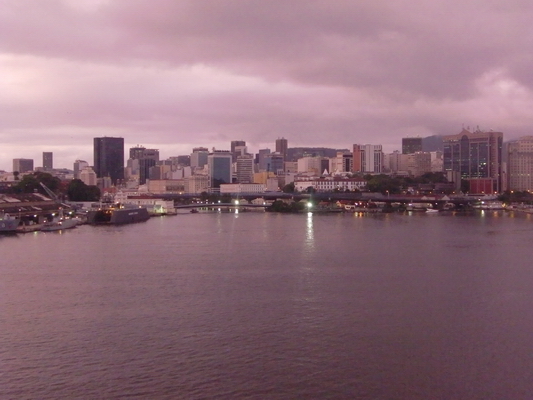 After more than 4 weeks on board of the cargo vessel we came to South America during sunrise of December 28th 2010. It was a very cloudy and misty day, but the temperature was already very warm despite the early morning. We were so excited to see Rio de Janeiro and being finally in South America! In the late morning of December 23rd we crossed the equator. Everybody was asked to come to the top deck in the late afternoon. Suddenly somebody from the crew shouted equator baptism. He had also a hose in his hand and abruptly lots of water came out of the hose. Warm and very salty! Advising us to close and lock all doors, when we are going outside to the top deck. We could use only one of the five outside doors. Sensitizing us with stories like: Once they had an exercise alarm after they had left an African port. The captain shouted over the loudspeakers 'Fire - Abandon ship'. Suddenly an African stowaway jumped straight forward into the ocean! We arrived in Dakar, the capital of Senegal, in the morning of the next day, December 16th 2010. 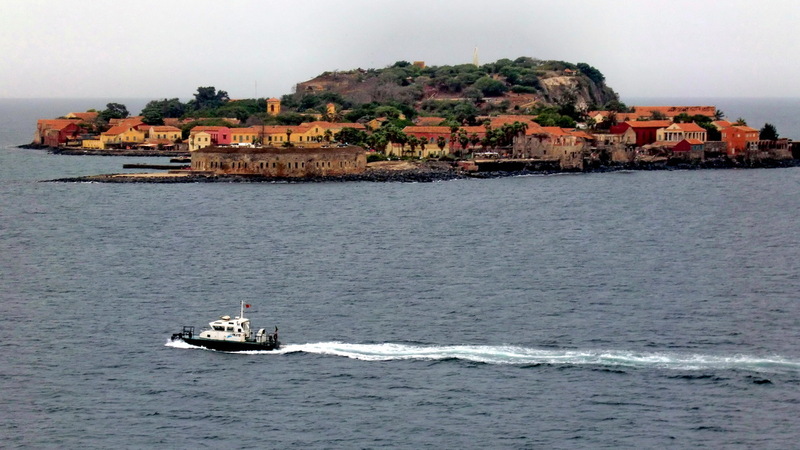 The entrance to Dakar is quite nice, we passed several islands. Very touching for us was the slave island, where the hapless and hopeless colored people had been stored before their long and sad journey to England or America. 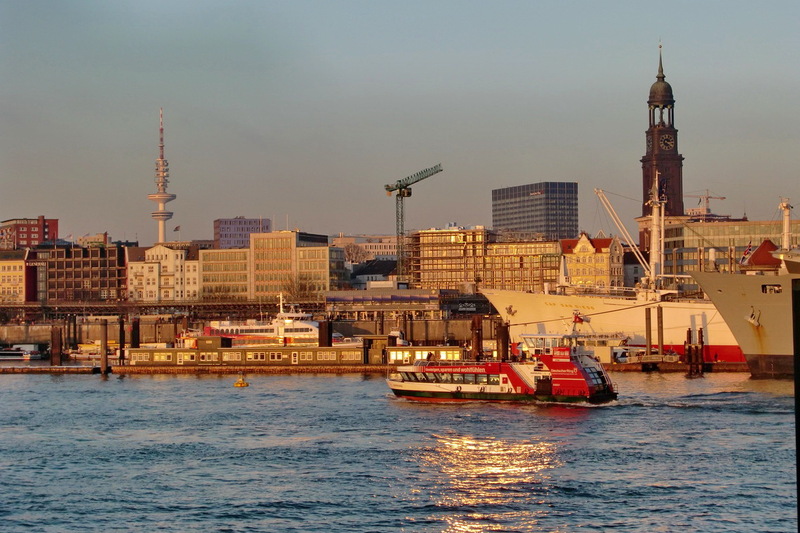 Finally November 29th, 2010 at 9:00PM we left Hamburg with the vessel Repubblica Argentina. Our original schedule was November 9th, but due to stormy weather and change of the vessel we had 20 days delay. 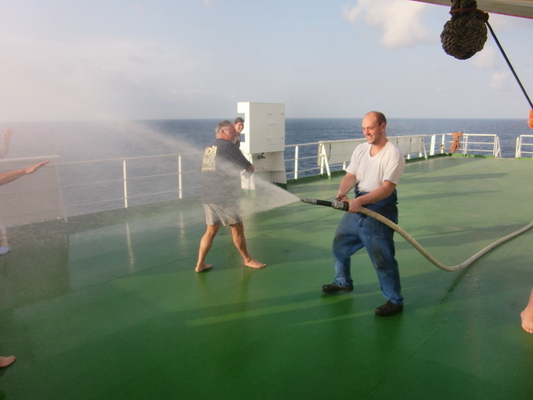 This is not unusual for sea freighter cruises, so you have to be flexible! The Repubblica Argentina belongs to the Italian Grimaldi Group. Grimaldi is one of the biggest sea freighter companies in the world, mainly between Europe, South America, Asia and Africa. 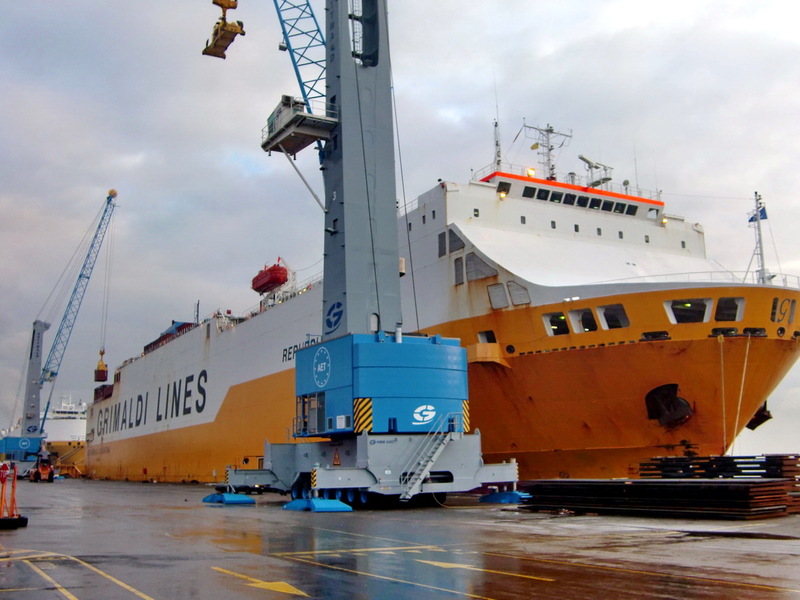 Grimaldi is specialized on car transportation, but also on containers. They have some passenger cabins on most of their vessels, usually around six cabins. One big advantage of Grimaldi is that you can take a car with you. And a lot of equipment, for instance bicycles. Another one is the Italian flag, so the cook is from Italy! A good cook is very important, because you stay approximately 5 weeks on board till you reach Buenos Aires. If you want more information take a look to www.grimaldi-freightercruises.com.